It started with three bird prints for the Cambridgeshire Open Art Exhibition and now there are almost seven, including a darkling thrush and dancing blue footed boobies. This feels like progress but I have set myself a target of fifteen prints by August….not quite half way then. The exhibition at The Exchange Gallery, in Saffron Walden Library,begins on August 8th, very pleased to get another slot there this year and also delighted to be selected for the Cambridge Original Printmakers Biennial Show in September 2016, so there is no question of not reaching the target set. There will be a private view in Saffron Walden, date yet to be set and the COP show also has a preview evening on September 22nd, so I hope to see many of my friends at one or both of these events. 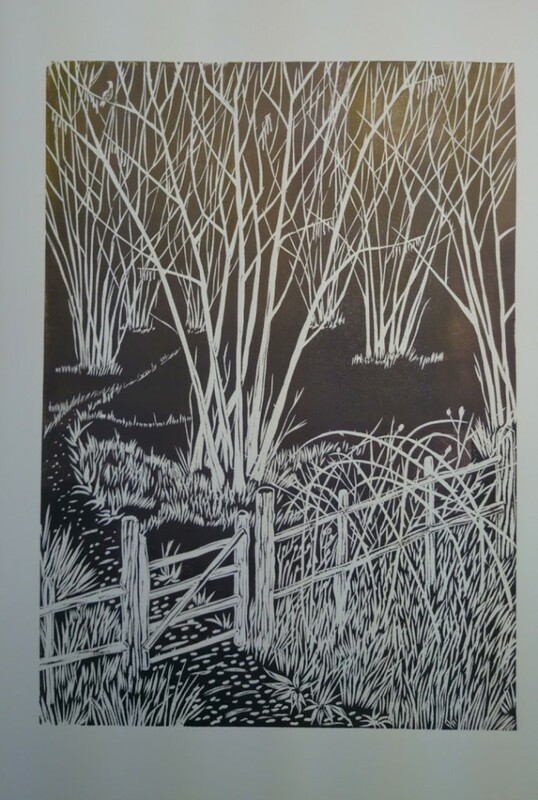 In Saffron Walden it is just my work but in Cambridge there will be a wonderful array of prints by a wide variety of talented printmakers from in and around Cambridge.